You'll be £12.99 closer to your next £10.00 credit when you purchase Lost Souls of the River Kwai. What's this? Order within the next 7 hours, 5 minutes to get your order processed the next working day! This is the moving story of a young man who found himself along with thousands of his comrades in the nightmare of Japanese captivity. Unlike so many (it is said that one Commonwealth POW died for every sleeper laid) Bill lived to tell the tale. Indeed it is remarkable that this story has not been told before, so graphic are Bill's memories of the hardships and horrors. The book goes on to describe how the experiences of those years have affected his life since. Bill Reed was one of the many unfortunate British soldiers who arrived in Malaya just in time to take part in the final stages of the campaign in that county and the Japanese victory at Singapore, spending the rest of the Second World War as a prisoner of war. For much of this time he was made to work on the notorious Burma Railway, which cost the lives of at least 15,000 Allied prisoners and 85,000 Asian civilian labourers. Reed's experiences over the next few years are graphically recounted. The overwhelming sense one gets is of senseless and often random violence, dished out by both the Japanese and Korean guards, with only a few unwilling to participate. Surprisingly the one figure who Reed eventually respected was one of his first camp commanders, executed after the war, but who Reed believes was trapped between his loyalty to the Army and the Emperor and his own religious beliefs. Even the relatively light hearted sections, recounting the steps the prisoners took to relief their suffering often end in tragedy - perhaps most notably when two prisoners were shot dead after being caught attempting to break back into the camp after a fishing expedition. The account of Reed's time as a Japanese prisoner is supported by a brief summary of his early wartime service, an account of the fighting in Malaya and Singapore and the immediate aftermath of the British surrender, while we finish with his repatriation at the end of the war, and a summary of his post-war life and the impact his wartime experiences still have on him. This excellent volume tells the very personal, unique and exceptionally moving story of Bill Read, a young soldier from Warwickshire, who, whilst serving with 85 Anti-Tank Regiment, Royal Artillery during the Second World War, had the mis-fortune of becoming a Prisoner of War of the Japanese. By writing this superb volume, the authors have provided the reader with a rare and fascinating insight into the torture and deprivation actually suffered by many British P.O.W.s at the hands of the Japanese. 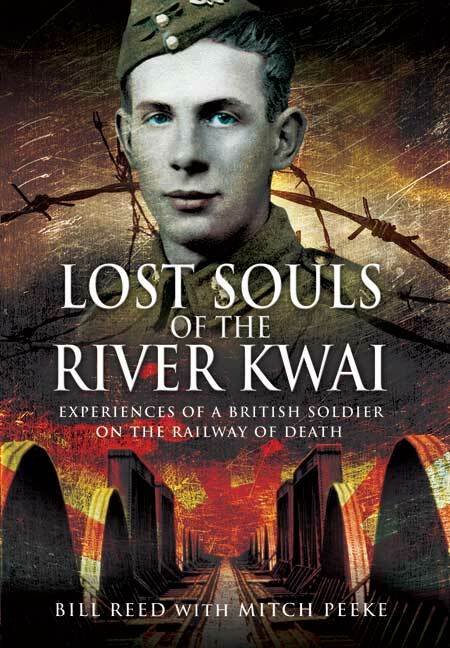 The narrative is often graphical, it is however a true story and is therefore a most fitting and sincere tribute to Bill and the men, who like him, worked on the infamous Burma Railway, where it is said that one P.O.W. died for every sleeper laid!